Not every leader is comfortable in their position -- especially new leaders. In fact, a 2015 survey of 1,000 employees conducted by Saba Software and Workplace Trends found that only 11 percent of respondents aspire to C-level positions. So, what happens when an employee who doesn’t want to lead moves into a leadership position? If they never really embrace the role, peers, employees and the company as a whole feel the strain. But with the right coaching, new leaders can feel confident, comfortable and take a more active leadership style. The important caveat here is that the new leader is open to being coached. If the new leader is resistant coaching this can be a symptom of larger issues that exist. They’re afraid to speak up. New leaders and those who are reluctant to lead may not feel comfortable with their new authority. They don’t speak up, give their input or express their opinions because they’re afraid to be wrong or disagree with those higher up the leadership chain. In addition, they may feel like even if they do give their input, it won’t matter. In fact, a 2015 Society for Human Resource Management (SHRM) survey of 600 U.S. employees found that only 37 percent were very satisfied with the consideration managers gave their ideas. But to be effective leaders, these professionals need to step up and share their insights. These new leaders may need to be reminded that they were promoted because of their skills, insights, and abilities. As such their peers and other leaders are looking to them to share their insight. Let them know that their opinions and feedback improve individual employees, their team and the organization as a whole. If it’s negative feedback they shy away from, emphasize that feedback is not criticism -- it’s collaboration and an opportunity to learn and grow. It’s OK to disagree with a key executive or let an employee know what can they improve upon. This input is constructive and critical. They shy away from recognition. Employees thrust into leadership roles are typically afraid of the spotlight. They don’t want to take the credit for their team’s work as they don’t want to seem full of themselves. But recognition is crucial, and new leaders need to understand that their role is important. 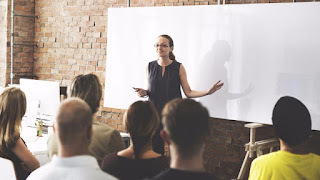 In fact, 86 percent of employees said recognition made them feel prouder and happier at work and 70 percent said they have a greater emotional connection to their job, according to a survey of more than 800 U.S. employees conducted by Globoforce in November 2015. When leaders downplay their work and importance, they won’t take charge and lead -- they just fade into the background. No matter how small a leadership position is, show employees how the role fits into the company as a whole. What impact do they make? How do they drive the company forward and help reach major goals? When new leaders understand the importance of their role, they’ll be more comfortable receiving and giving recognition. Coaching can help them understand how and when to give credit to their team or specific team members as well as spotlight their personal contributions. They focus on the negative. New leaders get overwhelmed easily. They want to take on more responsibility but are afraid of failing in their new role. As they take on new duties, they may feel unable to complete their old ones. After all, 51 percent of employees surveyed by Wrike in 2015 say that prioritizing tasks stresses them out. These professionals are worried about what they won’t get done, but experienced leaders understand that flexibility is key. Priorities change in an instant, and leaders need to change their plans and focus on what will get done. And when leaders aren’t really leading their team, the situation is worse. The leader tries to do everything themselves, instead of delegating. Coach leaders to focus on solutions, not problems. When priorities change and work gets crazy, train them to be flexible and lead the team to success instead of feeling the stress of the situation. Give them the right coaching and resources so they feel ready to take control of added responsibilities and feel comfortable during stressful times.